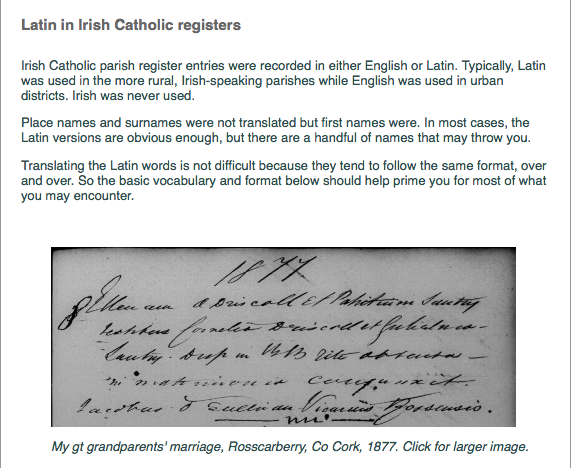 The NLI ( National Library of Ireland) has now made available birth and marriage records for much of Ireland. 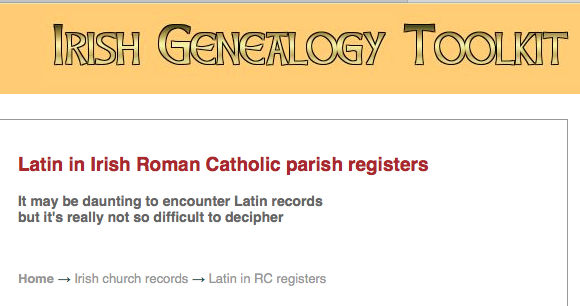 Typically the records start in the early 1800s or the late 1700s. what you get is a photo image of each page … but most of the early years are in Latin. First look at the map of Ireland in the website, select a dioceses or parish and you will see what is available. Some ink is faded, some pages are grubby, but you have a fascinating search on your hands. 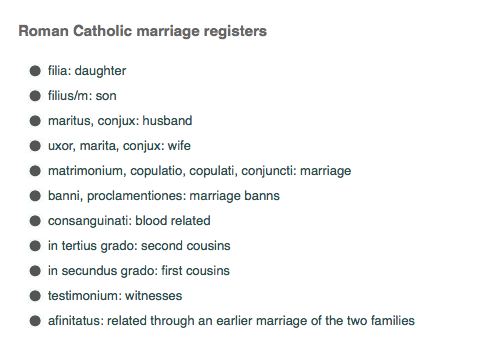 Anyway there is a Toolkit to help you with the Latin. Happy hunting! 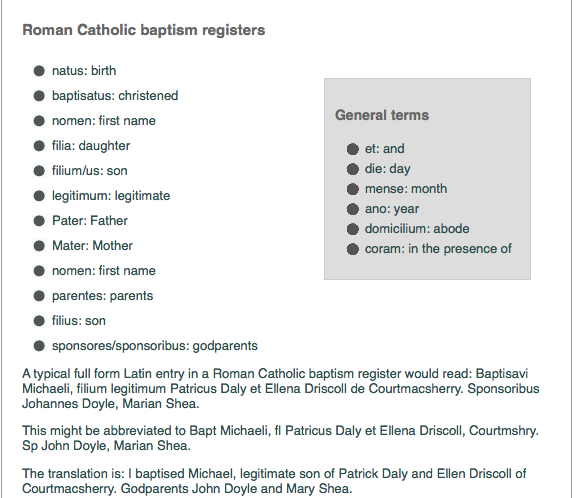 And many thanks to the Irish Genealpgy Toolkit people for sharing this with us… and, of course, the NLI , for making the information available FREE of CHARGE!